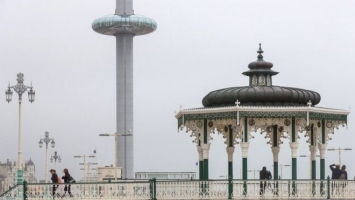 The world's thinnest tall building opens on Thursday offering views of up to 26 miles of Sussex coastline. The 531ft (161m) British Airways i360 viewing tower stands on the site once occupied by the entrance to Brighton's ruined West Pier. Visitors ascend 450ft (137m) in a 360-degree curved-glass pod.